"It'll get cooler, it'll get warmer. It's called weather," Trump said when asked by Bill O'Reilly if he believed in climate change. This should surprise no one. Businessman and celebrity Donald Trump has tweeted steadily about the climate change "hoax" since at least 2011. Presidential candidate Donald Trump, running on a populist and nationalist platform, pledged to scrap the U.S. Environmental Protection Agency, and with it the office responsible for enforcing environmental regulations. "We'll be fine with the environment," Trump said in a 2015 interview with Fox News. "We can leave a little bit, but you can't destroy businesses." In February, Trump's choice to lead the EPA, Scott Pruitt, was confirmed. As attorney general of Oklahoma, Pruitt sued the agency he will now lead and has received significant campaign contributions from coal, oil and gas companies. During his confirmation hearing, Pruitt described a shrunken EPA, in line with Trump's vision. "Science tells us that the climate is changing and human activity in some manner impacts that change," Pruitt said during his confirmation hearing. "The human ability to measure with precision the extent of that impact is subject to continuing debate and dialogue, as well it should be." 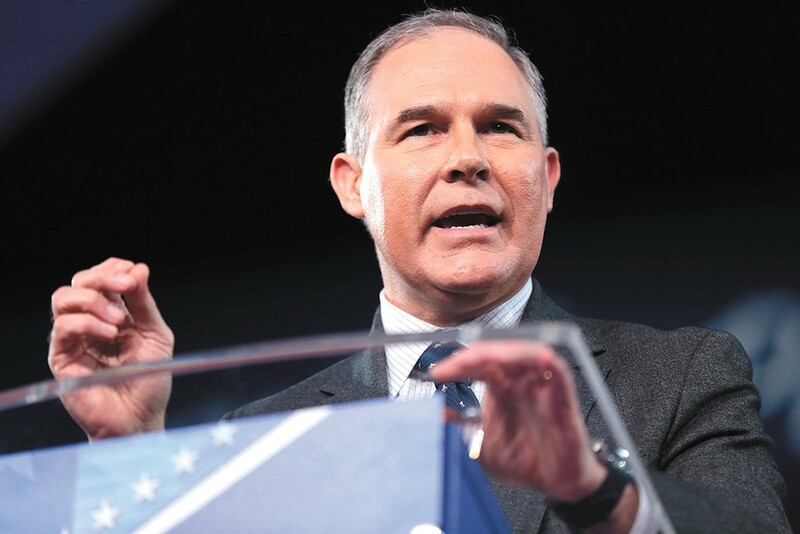 However, a 2013 report from the Intergovernmental Panel on Climate Change found it "extremely likely" that the majority of global warming is caused by carbon dioxide emission by humans, and other greenhouse gases — a conclusion that ostensibly contradicts Pruitt's statement. Within a month of Pruitt's confirmation, a 25-year employee of the EPA left the agency and wrote an open letter to Pruitt on his way out the door. In the letter, Michael Cox slammed the agency head and the Trump administration, saying he has never seen morale of EPA employees so low. "This is the first time I remember staff openly dismissing and mocking the environmental policies of an Administration and by extension you, the individual selected to implement the policies," Cox writes. The five-page letter spends significant time criticizing Pruitt for "denying fundamental climate science." Cox calls Pruitt's statements that carbon dioxide is not a primary contributor to climate change "shocking," and compares those statements to a congressional hearing in which CEOs of major tobacco companies denied that smoking causes cancer. Cox suggests that Pruitt visit areas in the West — such as Alaska and the Pacific Northwest — where climate change is already having adverse impacts. "Talk to the farmers in Eastern Washington who are struggling to have enough water to grow their crops and water their cattle," Cox writes. "The changes I am referencing are not impacts projected for the future, but are happening now." Trump has proposed cutting $2.4 billion from the EPA's budget — nearly 30 percent — and axing a quarter of its employees. Although Congress still gets final approval, gutting the agency by that much will have significant impacts. At risk is the EPA's ability to enforce its own regulations, funding for research that would allow us to more precisely understand how and why the climate is changing, and federal dollars dedicated to regional cleanup programs. Specifically, Trump's budget suggests slashing funding for the Brownfields Program, which provides states and tribes with money to clean up and redevelop former industrial sites. The list of Brownfields success stories on the EPA website includes a new regional health center in Tacoma, the cleanup and restoration of Sequim Bay on the Olympic Peninsula in Clallam County and the $3.4 million contribution for the redevelopment of an old railyard in the heart of Spokane — now known as Kendall Yards. Trump's proposed budget does, however, set aside money for the multibillion-dollar cleanup of the Hanford nuclear site just north of the Tri-Cities. Washington's U.S. Senators Patty Murray and Maria Cantwell, both Democrats, called Trump's proposal "dangerous." "If enacted, this funding cut would effectively eliminate the EPA's ability to execute its core mission to protect public health and ensure citizens have clean air, clean water, and are protected from hazardous waste and contaminants," the senators said in a joint statement. As coal and oil executives peered over his shoulder in March, Trump signed an executive order taking the first steps in unwinding President Barack Obama's climate change agenda. The order directs the EPA to re-evaluate, and presumably rewrite, Obama's Clean Power Plan, a major part of his legacy to combat global warming. Obama's plan sought to curb carbon emissions by closing hundreds of coal-fired power plants and preventing the construction of new ones. Those regulations never actually went into effect, and are tangled up in a legal battle. The order also lifts the moratorium on federal coal leasing, rescinds guidelines telling agencies how to consider climate change in National Environmental Policy Act reviews, reconsiders carbon emission standards for new power plants and reconsiders Obama's "social cost of carbon," which is used to justify regulations on emissions, among other things. 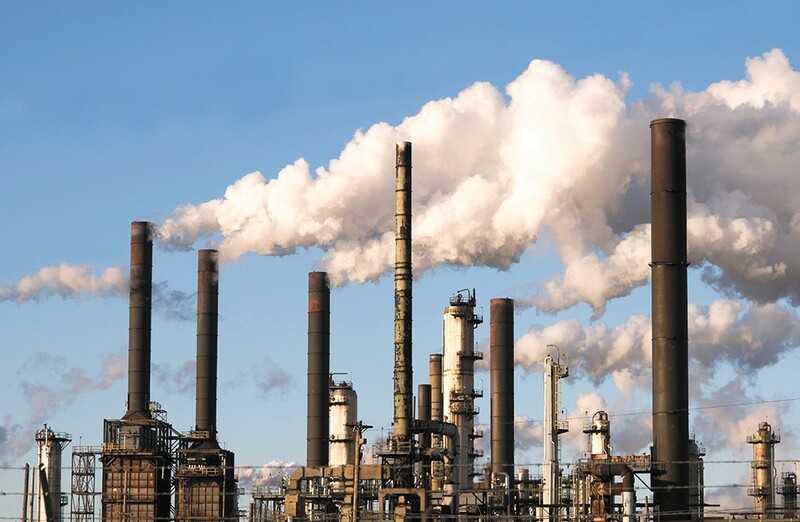 It's the action surrounding the social cost of carbon, namely the dismantling of the working group that came up with those standards, that has Thomas Singer most worried. Singer, senior policy advisor for the Western Environmental Law Center, a nonprofit public interest firm dedicated to environmental protection issues, says that Trump's order leaves unanswered the extent to which regulation of harmful greenhouse gas emissions will factor into policy decisions. "In reducing climate change, particularly given the Paris Agreement and international consensus, every year matters," Singer says. "It's very, very damaging. It's a crime against humanity." Trump's order does not specifically mention the 2015 Paris Agreement, and the United States' pledge to reduce emissions by 26 to 28 percent below 2005 levels by 2025. However, just last week, Pruitt, the EPA administrator, expressed his desire to "exit" from the historic agreement. Immediately following Trump's order, Washington Gov. Jay Inslee, joined by Oregon Gov. Kate Brown, vowed to push back against that agenda. According to an analysis of Trump's executive order by the global consulting company Rhodium Group, the order would cause emissions reduction to stall at about 14 percent below 2005 levels by 2030, well below the predicted reduction under Obama's plan.